Held from 10 am-4 pm, this free program will focus on medical and health care available to soldiers on both sides of the 1865 battle. Civil War re-enactors will set up displays and discuss period medical tools and the care of sick and wounded soldiers. Infantry units will conduct the manual of arms and participate in firing demonstrations, as well as talk about camp life and garrison duty. 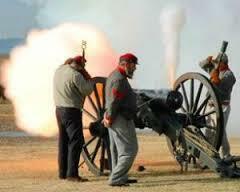 Artillery units will conduct drills and firing with the site’s rifled and banded 32-pound cannon and the site’s bronze 12-pound Napoleon cannon. Civil War sutlers and a period photographer will be on hand and tours of the site will be conducted throughout the day. Ansley Wegner, author of Phantom Pain: North Carolina’s Artificial Limb Program for Confederate Veterans, will talk about North Carolina’s Artificial Limb program after the Civil War. Author Richard Triebe will talk about the North Carolina Troops who were captured at Fort Fisher and sent to the Prisoner of War camp in Elmira, New York and their struggles to survive. He will also be available to sign copies of his book From Fort Fisher to Elmira and Confederate Fort Fisher: A Roster 1864-1865. Also participating in the book signing will be noted Civil War author and historian Michael Hardy. Fort Fisher State Historic Site will also be dedicating a special new exhibit called “An Eminent Work of Justice and Charity.” This exhibit will contain only the third Jewett Patent Leg known to be in existence. 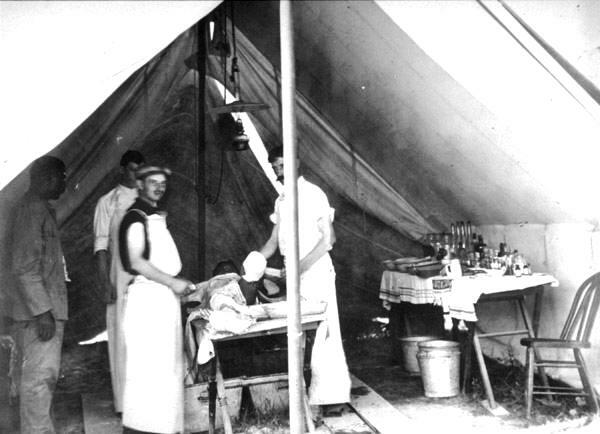 It will also include information about caring for amputees after the war and what was done to heal both their physical and mental wounds. All Fort Fisher programming is made possible by the Friends of Fort Fisher and its sustaining members: Troy and Lori Barbour, Mike McCarley, Tammy and Jack Moore, Brian and Deedra Nunnally and Jim and Catherine Taylor. Fort Fisher State Historic Site is located at 1610 Fort Fisher Blvd S, Kure Beach, N.C. 28449. For more information, call (910) 458-5538 or visit the Fort Fisher State Historic Site web site .